Pacha recently launched its first ever Australian residency at Sydney’s ivy. The Pacha professional dancers, aerialists, street performers, psychedelic projections and lighting took over the surrounding laneways and turned every corner of Sydney’s only rooftop pool bar, ivy Pool Club, Changeroom and ivy’s two-storey open-air courtyard into a haze of activity. Pacha Ibiza founder, Ricardo Urgell made the trip from Ibiza to Australia for the launch. Ricardo and Merivale CEO, Justin Hemmes hosted a private dinner at ivy’s Felix restaurant for 150 special guests including Mel B, Stephen Belafonte, Kate Waterhouse, Luke Ricketson, Firass Dirani, Danielle Spencer and Sally Obermeder. After enjoying a specially created menu, Justin and Ricardo ushered their guests up into ivy to join the rest of the 1,500 VIPs in the Pacha Sydney party. Guests sipped on cherry red cocktails with names like Ibizan Touch, Cherry Pash and French Touch while DJs Martin Solveig and Laidback Luke, entertained the crowd alongside Pacha Ibiza resident DJs Matt Caseli and Mo’Funk. 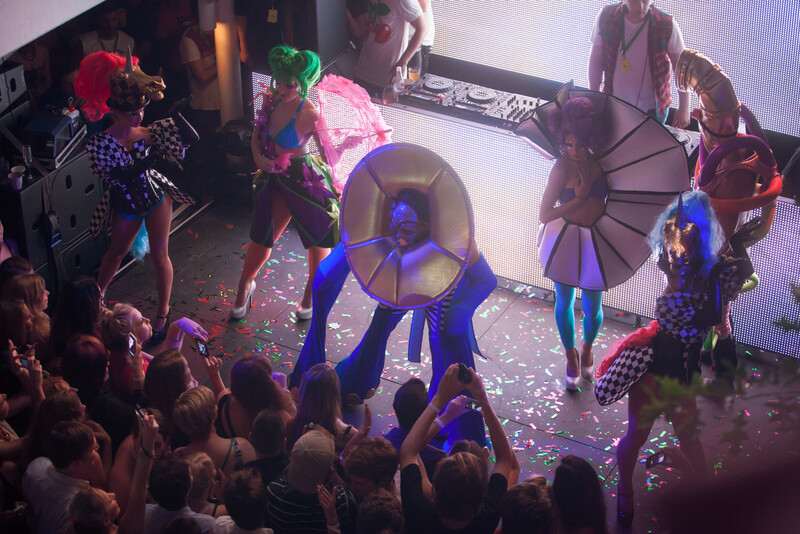 The Pacha parties at ivy are a burlesque of circus, dance and sensory overload and a world-class, specially appointed Pacha Sydney creative team have mastermind a concoction of theatrics, dance, music, light and costumes experience that engages, entertains, and amazes. For more info, check www.pachasydney.com. If some one needs expert view on the topic of running a blog afterward i recommend him/her to pay a quick visit this weblog, Keep up the good work.